Campbell Automotive is a family-owned auto repair shop in Stuart that has been fixing customers' vehicles since 2004. 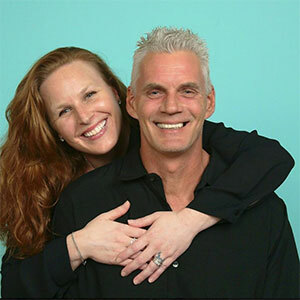 Owners Keith & Lindsay Campbell strive to serve customers with honesty, expertise, and unequaled work ethics. Campbell Automotive offers repair services for most foreign import and all American vehicles. We hire professinally trained and certified mechanics and offer a Peace of Mind warranty protection that is honored nationwide on all of the vehicles we service and repair. Since opening in 2004, our objective has been to grow our business on a foundation of truth & honesty. We believe that when finding an experienced auto mechanic that be can be trusted, that mechanic becomes an asset to an automobile's overall performance. Additionally, having a great mechanic like those employed at Campbell Automotive will assist in preventing costly breakdowns and repairs. At Campbell Automotive, we develop routine maintenance plans for our customers' vehicles, plans that adhere to manufacturer's recommended service schedules and individual driving habits. Conveniently located at 2815 SE Garden Street in Stuart, Campbell Automotive is a full-service automotive service center that performs factory scheduled maintenance on vehicles, oil changes, wheel alignments, tire rotations, brake inspections, suspension repair, car batteries, and even completely rebuilt transmissions. With decades of cumulative automotive service experience, Campbell Automotive is proud to be the ideal alternative to having a car repaired at a local dealership on Stuart. We stand behind our work with a warranty that is honored across the entire United States should there ever be a problem with a vehicle after being serviced at our repair shop. Campbell Automotive has been helping owners of both domestic and European vehicles that include BMW, Audi, Ford, Land Rover, Chevrolet, Volvo, Dodge, and Buick experience the next level of vehicle performance. When our specialists open customers' hoods, the return on investment is fully realized. Our service expertise is the greatest asset of our business and the reason our customers have kept returning since we opened our doors in 2004. 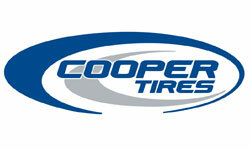 Campbell Automotive invites you to take advantage of our easy 24/7 online scheduling! Simply complete and submit the appointment form to schedule your repair. Campbell Automotive offers our customers in the Stuart area nationwide protection. Our warranties are among the best in the automotive repair industry. Campbell Automotive is always interested in hearing from qualified individuals seeking employment at our Stuart automotive repair shop. If you are interested in joining the Campbell Automotive team we want to hear from you. Campbell Automotive understands how important it is to find a quality automotive repair shop in the Stuart area. This is why we value the associations we have with the reputable organizations listed below. These associations help our auto repair shop in Stuart to give you the confidence in knowing that your automotive repair and service needs will be met by our qualified automotive repair and service expert technicians. Campbell Automotive is an automotive repair facility providing the greater Stuart area with high quality auto repair services from a team of specialists, some of which are ASE Certified technicians. The team members on the Campbell Automotive staff that are ASE Certified are part of one of the largest non-profit organizations in the world. Currently over 350,000 thousand fellow automotive repair professionals like those working at Campbell Automotive are ASE Certified. Campbell Automotive understands that for today's consumer, automotive repair is more complex than it has ever been. And as vehicles become increasingly more complicated, so too does the technology and diagnostic tools to repair them. This is why we are ASE Certified, because we know how important it is for people in and around the greater Stuart area to locate knowledgeable and competent automotive professionals. 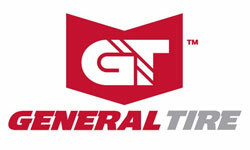 General Tire is part of Continental Tire North America, Inc. CTNA, based in Fort Mill, South Carolina, is a company of Germany-based Continental AG. With targeted annual sales of more than $40 billion USD for 2008, the Continental Corporation is one of the top automotive suppliers worldwide. As a supplier of brake systems, systems and components for the powertrain and chassis, instrumentation, infotainment solutions, vehicle electronics, tires and technical elastomers, the corporation contributes towards enhanced driving safety and protection of the global climate. Continental is also a competent partner in networked automobile communication. Today, the corporation employs approximately 150,000 people at nearly 200 locations in 36 countries. Campbell Automotive uses ALLDATA repair shop software to help us run the best automotive repair shop in Stuart. 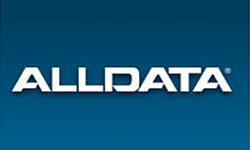 ALLDATA is the auto repair industry's best auto repair software solution that puts an incredible amount of information at our technicians' fingertips.